A place mentioned in ancient oracles against Moab (Isa. xv. 5, R. V.; Jer. xlviii. 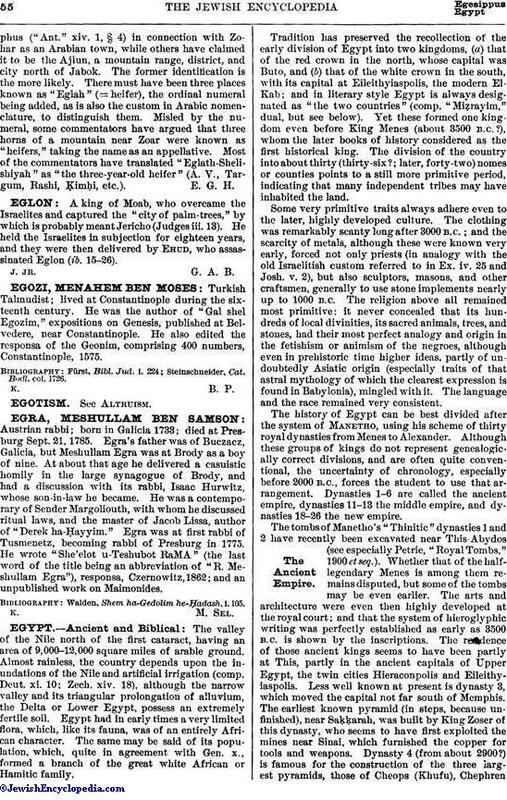 34, R. V.), together with Zoar, Luhith, and Horonaim. It has been identified with the Aγαλλα mentioned by Josephus("Ant." xiv. 1, § 4) in connection with Zohar as an Arabian town, while others have claimed it to be the Ajlun, a mountain range, district, and city north of Jabok. The former identification is the more likely. There must have been three places known as "Eglah" (= heifer), the ordinal numeral being added, as is also the custom in Arabic nomenclature, to distinguish them. Misled by the numeral, some commentators have argued that three horns of a mountain near Zoar were known as "heifers," taking the name as an appellative. 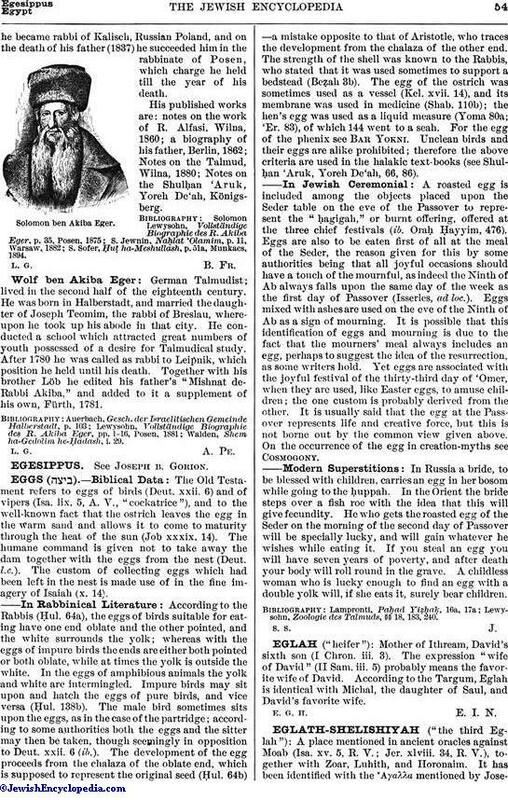 Most of the commentators have translated "Eglath-Shelishiyah" as "the three-year-old heifer" (A. V., Targum, Rashi, Ḳimḥi, etc. ).